Café espresso is the world-leader of the coffee drinks all over the planet. But that is not all. Also, café espresso is the basis of almost every modern coffee beverage so popular in coffeehouses and even in the kitchens of regular households. Espresso is made while forcing nearly boiling hot water under the high pressure through the finely ground coffee beans. Water ― rather hot but not hotter than 95ºC ― accumulates flavor and oils of the bean, and pours into the cup as a dense liquid with creamy foam on the surface. Modern espresso is brewed by different coffee machines ― so called espresso makers; there are different coffee making technologies such as single-serve technology or bean-to-cup system. Espresso is a drink that had become the very basis of a huge amount of the beverages that are brewed all over the world. What are they? Caffé Americano is an Italian for American coffee that according to the legend appeared during the World War II when American soldiers had tried to dilute espresso to get the beverage they got used drinking at home (regular coffee). Modern Caffé Americano is prepared by combining one or two espresso shots with up to 16 oz of hot water. A classic variant of American coffee is brewed in proportion 1:1. Though the drink is prepared with more amount of water, the strength of the beverage varies depending on espresso shots used to brew the drink and usually is equal to the espresso strength. Caffé Americano taste and aroma differ from classic espresso: flavor is lighter and consistency is not so dense. 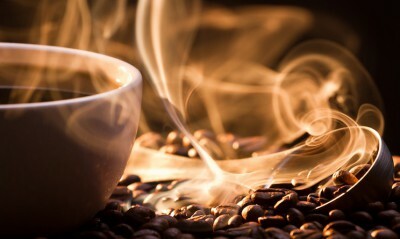 You can read more about Caffé Americano recipes for home brewing here. Café Cubano is a sweet type of espresso, commonly brewing in several cities of the USA, but not in Cuba. Traditionally, in Havana coffee beverage was brewed by using the filter system of coffee making: ground coffee beans were mixed with sugar, and forced the hot water through the paper or aluminum filter. Espresso coffee brewing technology was too expensive for a poor Cuba, that’s why first beverage, made according to this recipe but with espresso machine, was brewed in the USA. The modern type of café Cubano is made by using coffee beans of dark roast. To make the perfect Cuban espresso, sugar is added straight into the espresso pitcher, mixing with finely ground beans. Hot water, forcing through it, hydrolyzes sucrose and absorbs all coffee essential oils, aromas and taste. So, you get in your cup more specific beverage with sweet and very slight flavor. Zorro espresso is a double shot of the espresso beverage. Modern coffee machines such as Mr.Coffee Cafe Barista System allow brewing doppio in very short time even at home. Special double shot filter (commonly made of aluminum) helps in the brewing. Espresso machines allow getting double amount of the beverage, nearly 60 ml. Doppio is stronger and richer in taste. Depending on the roast level, it can be more bitter than one shot of espresso. But still, zorro has the unique espresso consistency and creamy dense foam. Caffé romano has nothing in common nor with Italy neither with Rome. This coffee beverage is served with the slice of the lemon or lemon peel. Caffé romano has very pronounced citrus taste with the touch of the finely ground beans of dark roast. The unique beverage feature is its tonic effect that achieved by combining caffeine with citric and ascorbic acids. There’s another variant of caffé romano called Guillermo: this beverage served not with lemon, but with lime. Usually, caffé romano is catered in the heated mug. Ristretto is one of the most popular coffee beverages which has espresso brewing on its basis. Traditionally, the ristretto is made by using the same amount of finely ground coffee but less amount of water. In other words, it’s short espresso shot. Less amount of water gives very specific features to the beverage, first of which is a speed of brewing. Surely, less water provides fast brewing. Another very important feature is that ristretto more concentrated: essential oils, flavors, and aromas are adsorbed by the water and come straight to the cup. This feature gives not only special taste to the drink but also significant color gamut. The third very important thing about ristretto is its strength. Thanks to the extremely fast brewing and smaller water amount, ristretto appears to be less strong than espresso. This fact becomes real because caffeine needs longer heating to get into the cup. Longer you heat your coffee beans ― stronger coffee you’ll get. We gave you descriptions of the most popular coffee beverages made with espresso as a ground or basis. Soon we will make a separate article about milk or latte coffee drinks, and also soon it will be the very interesting post with recipes, where we will tell how to brew each of the described beverage at home. Love coffee, stay with us!